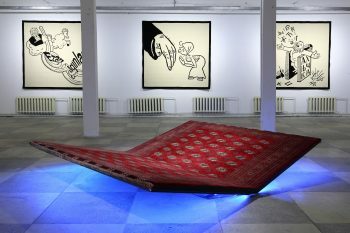 At the center of the “Movaland” exhibition in Minsk is the installation PrayWay, which plays on the traditional reading stand for sacred texts and a ver­nacular seating struc­ture found in teahouses. The sound installation Lektor, based on a Turkic mir­rors for prince text, or advice literature for future rulers, uses a voice-​over trans­lation reminiscent of late socialism. The over­lap­ping of several lan­guages creates an inadver­tent space of hospitality via issues of mul­tilin­gualism, respect and represen­tation. 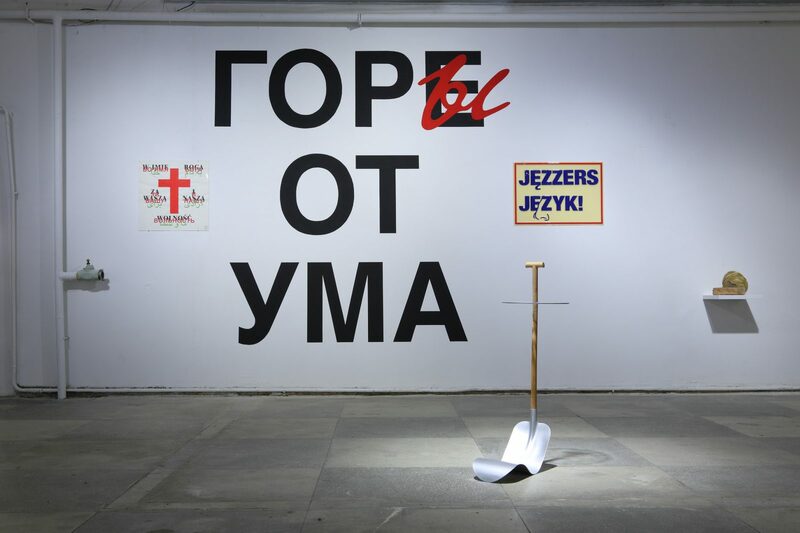 Slavs and Tatars’ work cap­tivates with humor, lan­guage jokes and sen­sual design that trans­ports visitors in time and space. 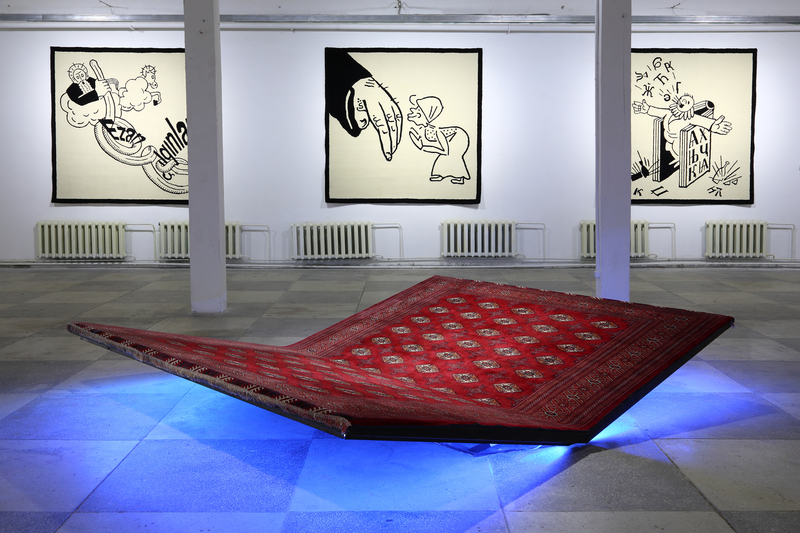 The exhibition coin­cides with an inaugural residency and men­tor­ship program at the Slavs and Tatars studio in Berlin. 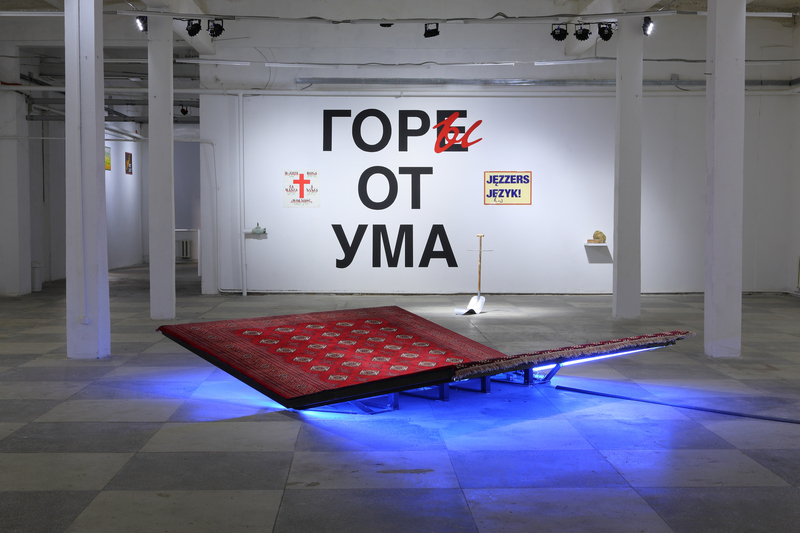 Artists, curators, and prac­titioners from Belarus par­ticipate in the studio’s mul­tiplat­form prac­tice, gaining invaluable experience and men­tor­ship for their own individual work. An accom­panying public program spread throughout the city involves diverse audien­ces and com­munities in Minsk.